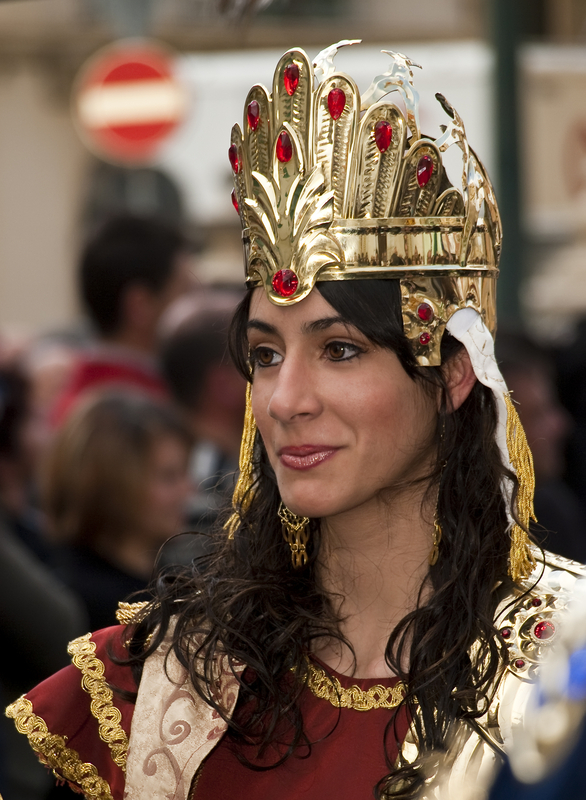 What Do Costumes Have to Do With the Book of Esther? Recently, I participated in a “Table Topics” discussion with Jeremy Legatzke on Hebraic Roots Network. The topic was Purim. Jeremy prepared several questions that tend to be controversial about this Feast of the People. One question was about the tradition of dressing up or wearing costumes. Pondering this question caused me to dig for an answer. 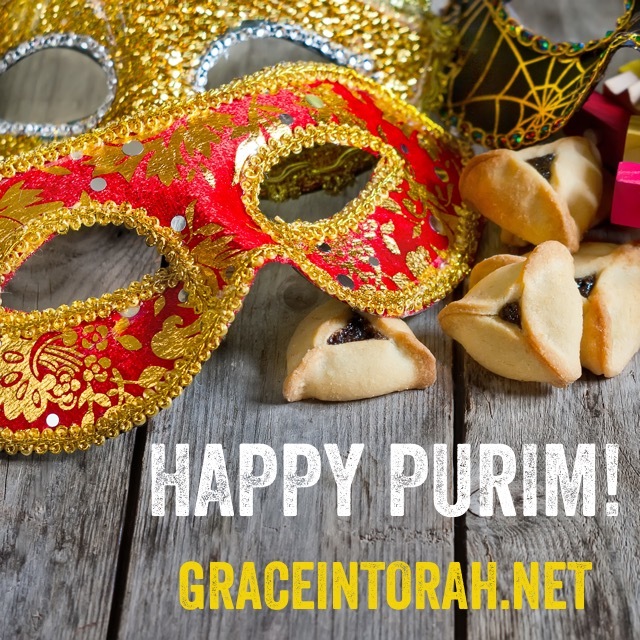 Jeremy quoted from a Haaretz article that said that donning costumes during Purim began in the 14th century as an alternative to lent. Is this tradition a tare that needs to be uprooted or is there a Biblical precedent for this custom? While I do not agree with the scary Halloween-ish type of costumes, dressing up as Biblical or historical characters can be used as a good (and fun) teaching tool, especially for children. This is true not just for Purim, but at other times as well. 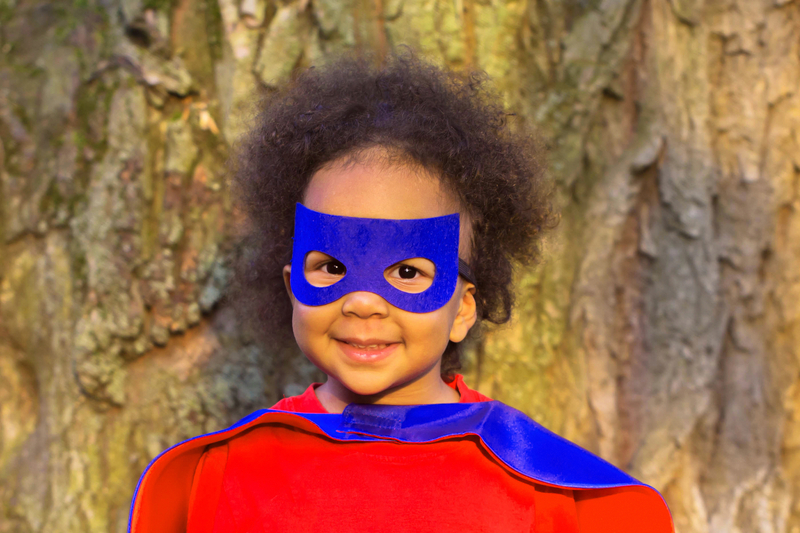 Dramatic or associative play (dress-up) is an important part of child development that teaches self-regulation, conflict resolution, and empathy. It encourages imagination, creativity, and language and math development. It also relieves stress, tension, and helps children to deal with traumatic circumstances. None of this should be surprising to a Bible Believer or something we should fear. God made us to be imitators of HIM, so naturally, children learn by imitating the adults they encounter. One year, we dressed up for our Passover Seder and it was one of the most memorable we’ve ever experienced, which is the primary POINT of the Seder. Gen 3:21 (NASB) The LORD God made garments of skin for Adam and his wife, and clothed them. Rev 22:14 (NASB) Blessed are those who wash their robes, so that they may have the right to the tree of life, and may enter by the gates into the city. I hope you will meditate on those two verses for a while, as I believe they teach a profound lesson. We could spend years exploring garments, the change of garments, and other adornments in the Bible. For now, consider rereading the Book of Esther and underlining or highlighting every time you see a mention of robes, changing clothes, coverings, and other royal attire such as crowns, scepters, and signet rings. That is what I did this year, and it revealed a new dynamic to this fascinating story. If you have a good imagination, you can also picture the attire not mentioned that other characters in the story would have worn. For example, how would one know if a person was part of the royal court, harem, officials, or army if not for their garments? Wardrobe reveals much about a person. If we see someone wearing a white coat and a stethoscope, we know that individual is a doctor. If we see a man in a blue uniform with a badge, we know that he is a police officer. So, what do the garments in the book of Esther reveal? In a sense, the entire plot reversal in the Book of Esther is told through what is “worn.” Can you see how a tradition of dressing up or wearing costumes and masks could have arisen from the Biblical text? This is just the surface level of the story. If we dig deeper, there is more! I’ll give a couple of examples. 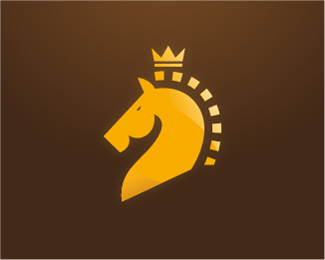 Did the King’s Horse Wear a Crown? Est. 1:11 (NASB) to bring Queen Vashti before the king with her royal crown in order to display her beauty to the people and the princes, for she was beautiful. Est. 2:17 (NASB) The king loved Esther more than all the women, and she found favor and kindness with him more than all the virgins, so that he set the royal crown on her head and made her queen instead of Vashti. This “royal crown” is different than the large crown of gold (atarah gadol) that was given for Mordecai to wear. Both display authority, but only one represents the actual kingdom, a feminine Hebrew word. Based on the usage of this Hebrew phrase, some scholars believe that what Haman actually requested was not the king’s crown or his horse’s, but the crown of the queen! Even though Haman was second in the kingdom, he wanted more. He wanted to be THE king and have his wife, the queen, too. This isn’t an outrageous interpretation considering what happened when the king returned from his anger at the second wine banquet. He found Haman falling onto the couch (or bed) with Esther. Est. 7:8 (NKJV) When the king returned from the palace garden to the place of the banquet of wine, Haman had fallen across the couch where Esther was. Then the king said, “Will he also assault the queen while I am in the house?” As the word left the king’s mouth, they covered Haman’s face. Ironically, it was this suspicion that cost Haman his life, not his hatred for the Jews. No one messes with the wife of the king and gets away with it! Before Esther approached the king unannounced, she had not been summoned in thirty days. (Est. 4:11) But when Esther boldly approached the throne, inviting the king and Haman to a “wine banquet,” it intrigued the king. She had his full attention. What could she want? Why did she also invite Haman? To add to the mystery, Esther didn’t tell the king what she wanted at the first banquet. Can you imagine how heightened his curiosity must have been when she requested that he and Haman join her again the next night? After the first banquet, the king couldn’t sleep. Can you blame him? You know he had to be wondering why in the world she (his queen and wife) only invited him and Haman to these specially prepared wine banquets. He tried to ease his troubled mind by having the book of records read to him. This is how he discovered that Mordecai had saved his life. Thus, the next day, all his worry and suspicion is fresh on his mind when he asks Haman how he should honor a man that he desires to honor. Do you think he might have been extra sensitive to Haman using the words “keter malkhut?” After this display, King Ahasuerus was likely wondering if Haman wanted not only his kingdom, but also his woman, the queen. I believe this is why his reaction was swift and decisive when he saw Haman falling onto the couch with Esther. It was a confirmation of all his suspicions! Haman essentially wanted to switch clothes (roles) with the king. Instead, he ended up wearing the very noose he had prepared for Mordecai. Or, perhaps more accurately, a very large pike was adorned with Haman’s head as a warning to all who defied the crown. Est. 3:1 (NASB) After these events King Ahasuerus promoted Haman, the son of Hammedatha the Agagite, and advanced him and established his authority over all the princes who were with him. Haman is called the son of Hammedatha the Agagite, or of the Agagites. This recalls Agag the king of the Amalekites, conquered and taken prisoner by Saul, and hewn into pieces by Samuel. (1 Sam. 15:8,33) It also harkens back to when the children of Israel first crossed the Reed (Red) Sea and were attacked by the Amalekites. (Ex. 17:8-16) Hence, both Jewish and Christian expositors regard Haman as a descendant of the Amalekite king, who was a descendant of Esau. If this is the case, Haman’s hatred of Mordecai and the Jews is a very old sibling rivalry that dates back to Jacob and Esau. On a spiritual level, this is the battle of appetites and desires (flesh) with the truth of the Word of God and His Torah. On the outside, Esau wore the skin of the firstborn, but he was ruled by his flesh rather than the Spirit of God. He acted rashly and without concern for his birthright, because he’d rather be in the field like a beast. But Jacob was a peaceful man of the tents, an idiom for Torah study. Thus, Esau’s stomach of desire sold the divine birthright to Jacob for a bowl of red (earth/flesh-like) soup. Rebekah was given a Word from the LORD while the boys were still in her womb that the older would serve the younger. And, when an aged and blind Isaac went to bless the boys before he died, Rebekah counseled Jacob to dress up or wear the beast-like costume of Esau. Jacob disguised his identity by donning the garments of his brother and received the blessing of the firstborn, which YHWH said belonged to him in the first place. Gen. 27:15 (NASB) Then Rebekah took the best garments of Esau her elder son, which were with her in the house, and put them on Jacob her younger son. At first glance, this activity appears to be highly deceptive. I believe we are meant to wrestle with this story. What was really happening here? Did Rebekah and Jacob sin or did they fulfill God’s plan in an unorthodox way? Wasn’t there a way for YHWH’s intended son to receive the birthright and the blessing without such trickery? To add to our struggle, the Word never says that Rebekah or Jacob sinned by going through with their plan. Did you catch the punch line? Israel (Jacob) received the blessing while he was wearing the costume of Esau! 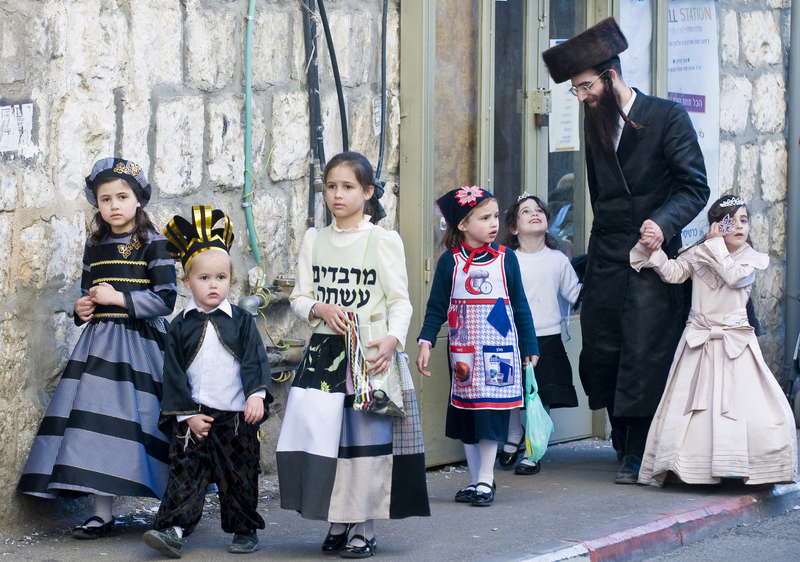 Some rabbis teach that this is the real reason for the tradition of wearing costumes on Purim. Descendants of Jacob and Esau met in Persia, and once again Esau sought the life of Jacob. But also once again, there was a heavenly reversal and Jacob (Mordecai) received the eminent position that Esau (Haman) sought. There are some deep lessons to be learned by wearing the garments of another. If children benefit from this activity in the natural, what do you suppose the spiritual counterpart is? Gen. 1:27 (NASB) God created man in His own image, in the image of God He created him; male and female He created them. Esau still hates Jacob, even if he offers a kiss. We need to discern these twins within ourselves first. Like Esther, many of us live in exile. But also like Esther, we are daughters of Abihail. (Est.2:15) In Hebrew, Abihail is Av + chayil. Our Father is a strong Warrior! We recall righteous Tamar that took off her garments of widowhood and donned the apparel of a prostitute, concealing her identity from Judah. Her costume helped procure the line of Judah and the Messiah! We recall Joseph who dressed and spoke like an Egyptian, and saved not only the nation of Israel, but also many others. We remember that the outside of the cup can be deceiving. The children of light give others the benefit of doubt. They are not quick to judge or to speak. They do not promote unforgiveness or hatred, even when they are betrayed and hurt. They are image-bearers of God and not a red, hairy beast of the field. If wearing a costume or dressing up teaches one to be more like Adonai, and to be more empathetic to other’s plights, and it confuses the schemes of the enemy, then that’s what I want to do. Est. 8:15 (NASB) Then Mordecai went out from the presence of the king in royal robes of blue and white, with a large crown of gold and a garment of fine linen and purple; and the city of Susa shouted and rejoiced. 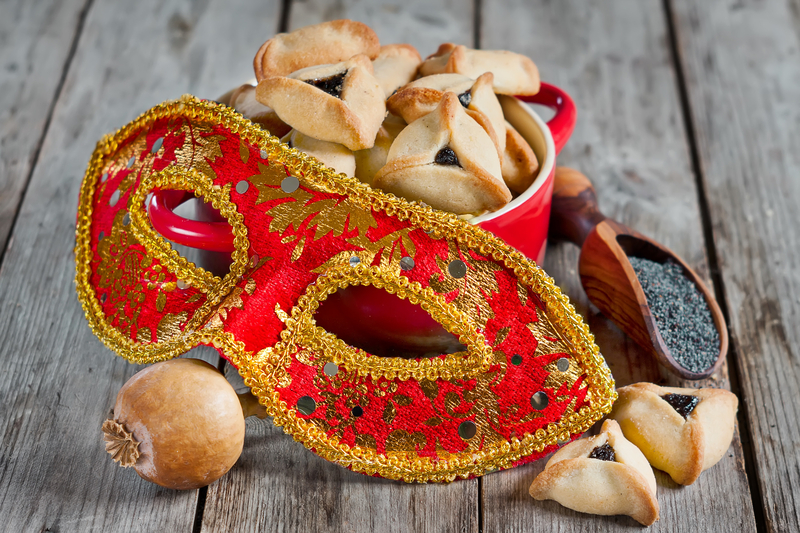 May hidden things be revealed as you read Esther 1-10 this Purim!